Nature Posts is now on Facebook! 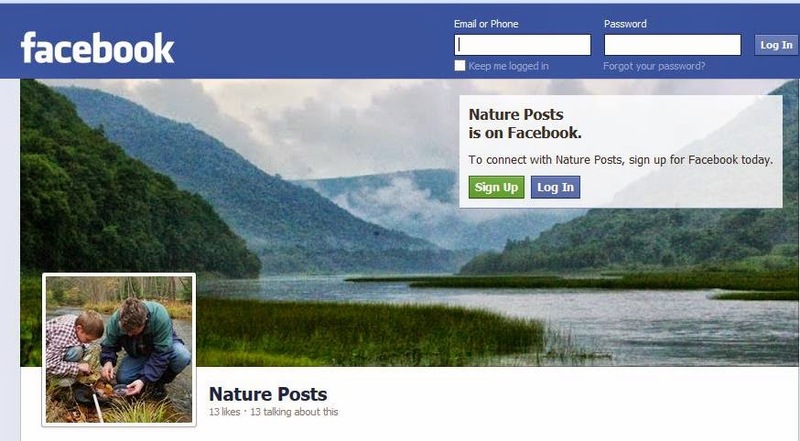 This is a screenshot of the Nature Post Facebook page where I have started to post ideas for nature activities. The content is more current and about 'upcoming' things compared to this blog - more 'what-to-do' and 'when-to-go'. A park naturalist described it well when he told me, "I like the Facebook idea - encouraging and enabling people to get out and experience what is going on around them as it is happening.". Visit www.facebook.com/natureposts and "Like" my page to follow these daily nature posts. Good for you Dana, see you on F.B. too then !